13oct2:00 pm7:00 pmSold Out!Scenic Highway Trolley Tour and Bay Cruise FundraiserThe Scenic Highway Foundation is opening up a new facet of Pensacola tourism with its first ever trolley and bay cruise. The Scenic Highway Foundation is opening up a new facet of Pensacola tourism with its first ever trolley and bay cruise along Scenic Highway on Saturday, October 13 from 2:00 until 7:00 p.m. The tour is a fundraiser to help restore the Old Chimney and begin plans for a biking and pedestrian path along the highway. Attendees will park in one of the parking lots on Commendencia Street south of Main and board one of the 40-passenger trolleys waiting near the ferry dock at 1:45 p.m., departing promptly at 2 p.m. for a tour of the entire 11-mile corridor, which ends at the Santa Rosa causeway. The trolley will then turn around and retrace the highway, while a Scenic Highway board member points out historic sites and tells stories and lore about the highway. Once the trolley tour is completed, attendees will travel to the Days Inn at Cervantes and Palafox streets for a wine and food reception, and for the Scenic Highway Foundation to conduct a short annual meeting. Passengers will then take the trolley back to the ferry dock and board one of the National Park Service’s ferries for a cruise up Pensacola and Escambia Bays for a scenic vista no one ever gets to see—our spectacular red clay bluffs from the water at sunset. Please join the Scenic Highway Foundation for a new Pensacola adventure! Tickets are $125 and are available through Paypal with a credit card through our web site: https://pensacolascenicbluffs.org/. 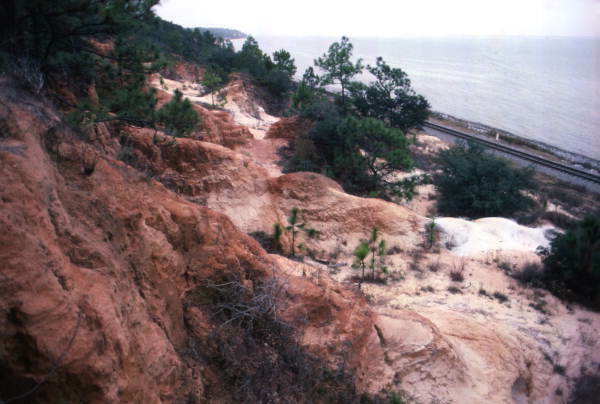 There is also a link to our site on our Pensacola Scenic Bluffs Facebook page. Space is limited to 80 passengers. For information, please ring Robin Rowan, Scenic Highway Foundation, at 850.433.1319. IMPORTANT: Choose number of tickets below, press the "Add to Cart" button, and click here to complete purchase. Your purchase is not final until you complete the payment process.